A rookie barrister has been suspended from practice for six months by a disciplinary tribunal after he represented a client in the High Court before and during his pupillage. Ehi Andrew Ukiwa exercised rights of audience, a reserved legal activity, on three separate occasions in late 2016 before he had started pupillage. Ukiwa, who was called to the bar in 2010 and is a tenant at No. 4 Grays Inn Chambers, appeared in court again on behalf of his client in early 2017 when he was a pupil barrister in the first period of his pupillage and he was still unauthorised to do so. Ukiwa’s untimely appearances related to the estate of a deceased male and took place in Bromley County Court and the High Court’s Chancery Division in the Rolls Building. Snippets relating to the case were made public last month, however the Bar Tribunals and Adjudication Service’s (BTAS) full decision has now been published. According to the judgment, Ukiwa claimed his qualification from the Chartered Institute of Legal Executives (CILEx) “trumped his inability to appear in court in the first six months or four months of pupillage because CILEx had given him the right to attend interim hearings”. It is also said that Ukiwa wrote to the BSB in August 2017 claiming he had acted in the High Court proceedings as an unpaid McKenzie Friend. The ruling, however, goes on to reveal that the BSB had “unearthed” documents that made it “perfectly clear he was expecting to be paid” and had received a series of payments for his professional services. According to the judgment, 57-year-old Ukiwa admitted carrying out a reserved legal activity before he had commenced pupillage. He further admitted carrying out a reserved legal activity when he was a pupil barrister and failed to observe his duty to the court by “appearing and purporting” to exercise a right of audience. Despite these admissions, Ukiwa denied that he had “failed to act with honesty and/or integrity”. All the allegations, including the ones Ukiwa denied, were upheld by the tribunal. The tribunal ordered him to be suspended for six months for his misconduct as a pupil and four months as an unregistered barrister. The suspensions will run concurrently and are open to appeal. Legal Cheek has contacted Ukiwa for comment. 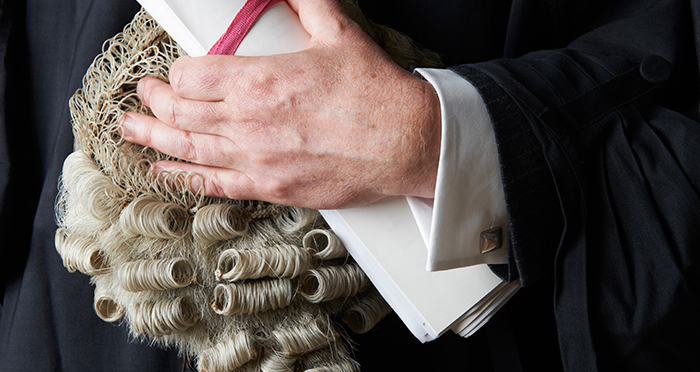 The post Pupil barrister who believed legal exec qualification allowed him to conduct High Court advocacy is suspended appeared first on Legal Cheek.